Today, gamers around the world will face off against an ancient, forgotten evil power in the highly anticipated Strange Brigade. AMD and Rebellion have worked closely to ensure smooth, immersive gameplay on Radeon RX Graphics in Strange Brigade. FreeSync 2 HDR: Brings low-latency, high-brightness pixels and a wide color gamut to High Dynamic Range (HDR) content for PC displays, enabling Strange Brigade to preserve details in scenes that may otherwise be lost due to limited contrast ratios. Ultimately, it lets bright scenes to appear much brighter and dark scenes to be truly dark - all while keeping details visible. Asnychronous Compute: Strange Brigade by default has asynchronous compute enabled improving GPU utilization, input latency, efficiency and performance by tapping into GPU resources that would otherwise be underutilized. For example, running various screen space effects during the shadow map rendering. Gamers can get the PC version of Strange Brigade for free when purchasing an AMD Radeon RX Vega, RX 580 or RX 570 graphics card, along with free copies of Assassin's Creed Odyssey and Star Control: Origins as part of AMD's latest game bundle. For more information, please check out the website here. It actually looks kind of fun. Tomb Raider meets Double Fine meets Team Fortress? edit: OK, not TF.. looks like just co-op.. It's basically Zombie Army trilogy, but with explorers. Which makes sense cause both games are made by Rebellion. All the comments I've seen on the game mention great fun with friends. Ah, never played it. But I dig the setting here. Burned out on zombies, but this puts a cool spin on it (like the Mummy films). Inferior Vulkan to DX12 performance. That's rich. Frankly we’re impressed with how well optimized Strange Brigade is. And not just for AMD hardware (who is a sponsor), but also Nvidia hardware, which is great to see. In fact, this is becoming a common trend, where every game AMD has a hand in developing turns out being extremely well optimized for all. Unfortunately, most games nVidia have a hand in developing, turn out being quite bad on AMD cards, when compared to nVidia's. Why can't they just concentrate on having games run great on their cards while NOT purposely crippling the competition? Is that too much to ask? He's another biased opinion reviewer. Strange Brigade and Destiny 2 have pretty same fps but one game is well optimized for both and other has unfair leadership. Actually nVi crippled ALL cards, and their cards just suffers less. That includes their older generation cards as well. The specific issue is mentioned a bit later but, for context, better start around the mentioned time. They are damaging AMD's performance BUT are also doing it to their own previous architecture as well. I'm sure owners of previous nVidia's cards are thankful for nVidia's generosity to go to such lengths to cripple AMD's performance to make their own newer architecture cards look that much better. I'm sure owners of previous nVidia's cards are thankful for nVidia's generosity to go to such lengths to cripple AMD's performance to make their own newer architecture cards look that much better. Ask 980Ti owners and see if they care. Your flame bait did not work,sorry,try next time. Destiny 2 had some sort of issue with DoF setting set to ultra causing problems and tanking performance on both brands, nvidia fixed it in the driver,amd never did. They don't, or they'd vote with their wallet. That doesn't make it right: why do owners of previous arch have to be punished for a manufacturer's war? Having cards that perform better is one thing: having them artificially perform better (by use of subterfuges such as those described in the video) is quite another. Can't nVidia highlight their superiority without resorting to such lows? That doesn't make it right: why do owners of previous arch have to be punished for a manufacturer's war? Punished ? :roll: Are you even serious ? Lay off the adoredtv stuff for a while, it's not good for your brain.I don't think any nvidia owner takes that gameworks stuff even half as seriously as amd supporters seem to do. you're making a huge deal out of some proprietary functions that can be disabled. It seems you didn't bother to watch the section of the video i referred to: your loss. No,it is not a loss in any way. Adoredtv can't tell me anything I don't already know having owned nvidia since maxwell. He'll make some good analysis (sometimes) but skews facts his way too, plus his comment section is frankly embarassing to watch with the constant circle jerk going on there. It's cool tech and I'm looking forward to checking out the features. The only thing is that I've noticed AMD tends to do this quite a bit around new gen card releases, where they will sponsor a game like they've done with this one, and go all out on optimizing it to the Nth degree with every feature they can. 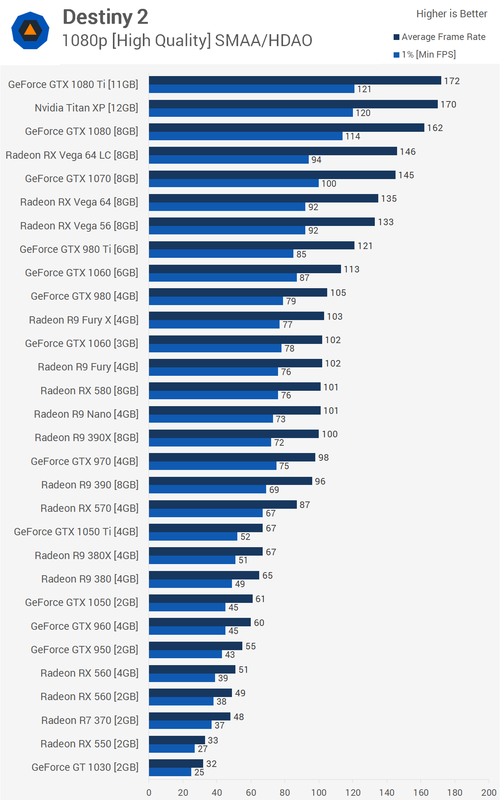 Ashes of the Singularity was the most recent one with the DX12 benchmarks, Hitman optimizations before it, etc. Nice stuff, but it seems to be done to give customers the impression that if you buy the latest AMD card of the day you can expect similar performance optimizations and utilization of new features in lots of other upcoming games. And that is rarely the case. Not saying NV is innocent about doing similar things. I'm just pointing out that AMD tends to go all-in on a specific game when they do this. 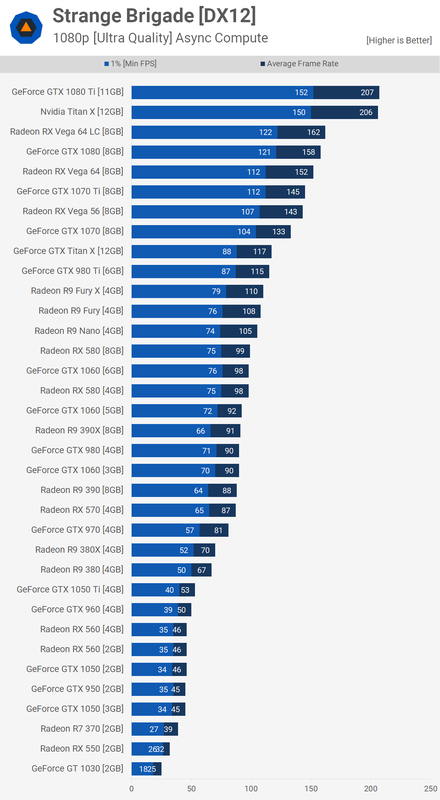 So that makes it tougher to estimate what given performance on a wider range of games will be. Your meat shielding is getting out of control. Perf degradation is not tied to gimpworks features alone. Nvidia hijacks all "optimization" and tanks performance. Short memory? Forget about super-tesselating flat objects and underground water? 4% at 1440p,5% at 3440x1440,7% at 4K. 1080p it's 1% slower,margin of error stuff. You would have seen it if you had bothered to watch the video, starting form the mentioned time. Actually: the video is referring Maxwell VS Kepler and not Pascal VS Maxwell, but the point stands. lol how did this turn from async to adoredtv gameworks rant ? :roll:. It's interesting, this game is essentially exactly what AMD fans want, pushing DX12, Vulkan and asynchronous compute. No silly gimmicks... just pushing the basics so everyone wins. Turns out Nvidia aren't bad at those things either... eek! So eh yeah..... bloody Gameworks! Honestly, it does get old after a while. and I've owned both cards. Can't we just admit both companies have done shady things being profit-oriented? So what is wrong with nVidia pushing their strong points too? Or does the world revolve around AMD?